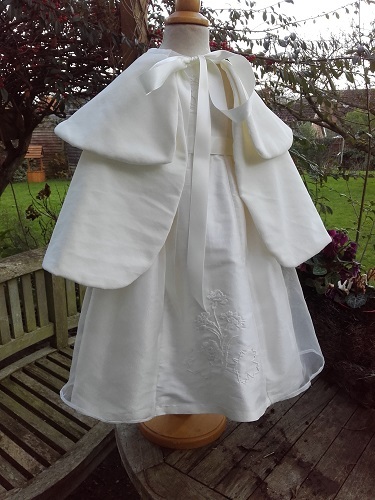 A velvet Christening Cape is the ultimate luxury item for girls during the colder months. 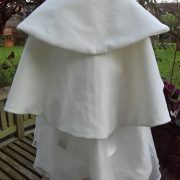 This heirloom Baptism Cape is made from luxurious cotton velvet and will finish off any Christening outfit. 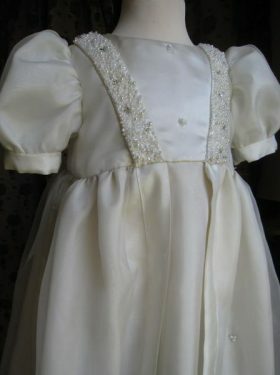 It is perfect for adding that touch of class on your child's special day. 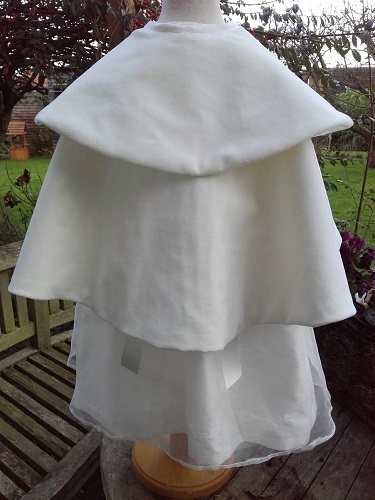 The cape comprises of two layers, both layer being lined in silk deupion to give extra weight and warmth. Satin ribbons ties complete the look. A variety of colours are available to chose from. Please contact us for samples. 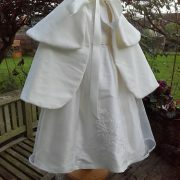 The christening cape can be made to accompany any of the gowns or rompers featured on Little Doves website. 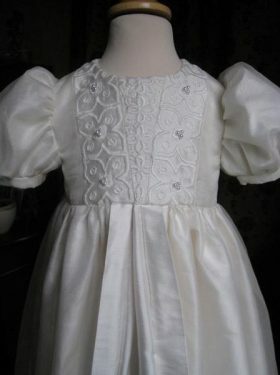 We can also make it simply with one layer if you prefer a style with a little less grandeur. 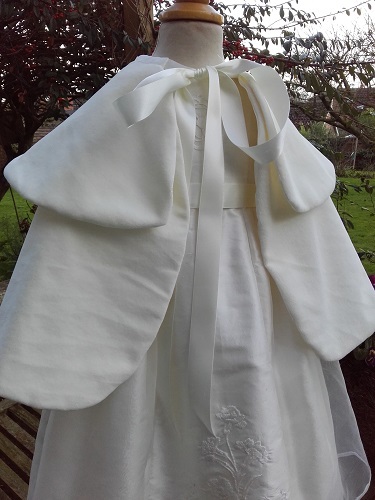 The Baptism cape is a perfect addition to any of our Christening dresses. 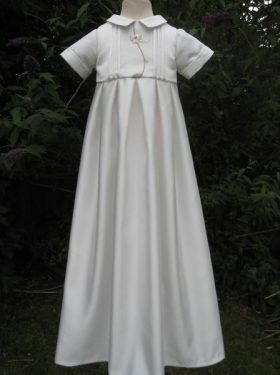 It is also specially suited for older girls who are walking. 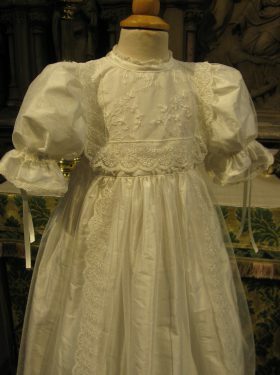 Or why not chose it as a luxurious extra to go with one of our couture Christening Gowns?